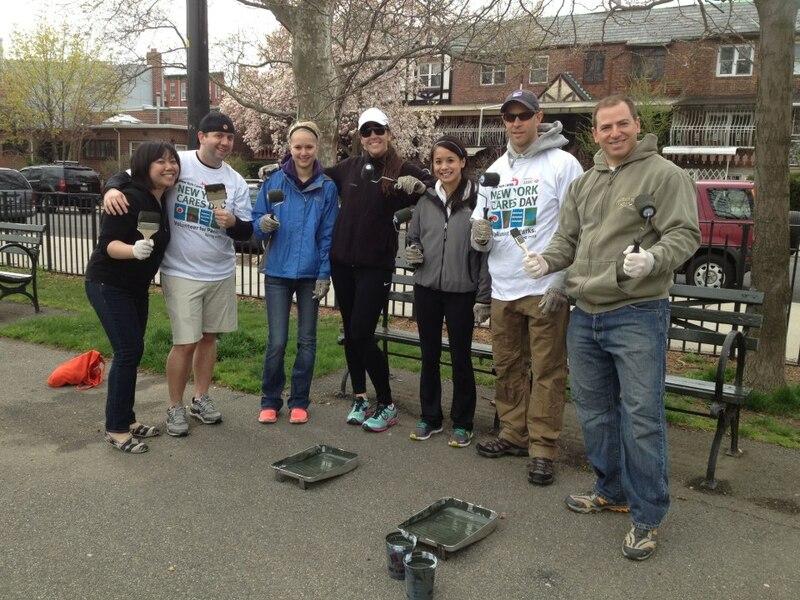 This Saturday, October 19th, members of SPEAR Physical Therapy will team up with New York Cares to help bring a NYC elementary school playground back to life! Click here to make a team donation on behalf of SPEAR and help us reach our $500 goal! 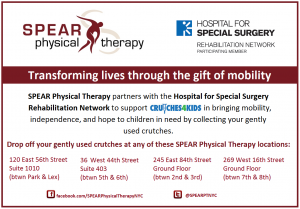 SPEAR Physical Therapy is proud to team up with Crutches4Kids and the Hospital for Special Surgery’s Rehabilitation Network to collect your gently used crutches at any of our 4 drop off locations! Our mutual goal is to bring the gift of mobility, independence, and hope to children in need. 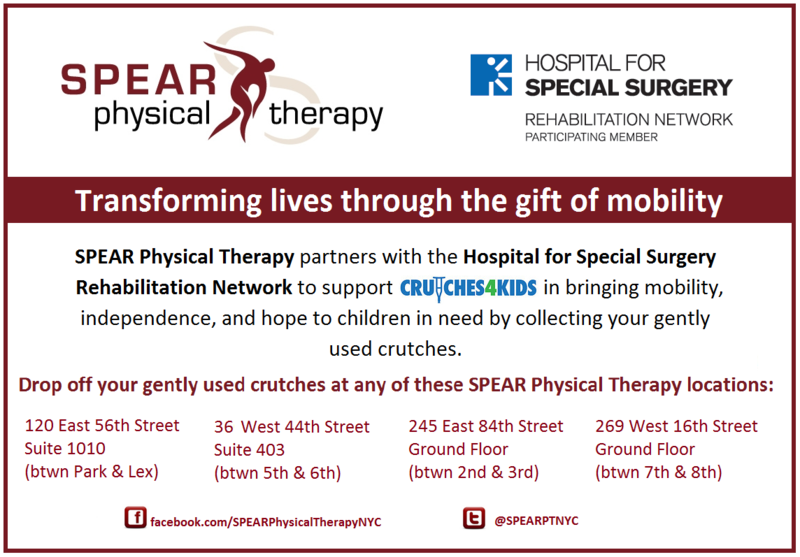 If you have crutches you’d like to donate, please stop by any of our 4 drop-off locations. You can also help out by “liking” and sharing our flyer on Facebook to get the word out about our initiative!